It is with a profound sense of appreciation and prayer that we take this opportunity to write to you as our Nation honors our Veterans. November 11, 2018 is Veterans Day, originally known as Armistice Day. The Armistice to end World War I, known at that time as the war to end all wars, was signed by and between the Germans and the Allies in the early morning of November 11th, 1918 – exactly 100 hundred years ago this year – which became effective at the 11th minute, after the 11thhour, on the 11thday of the 11thmonth. There have been many wars since World War I. In today’s world in which people continue to resort to violence to settle conflicts, war is still a commonly known existence in our lives. In the United States of America, the function of Veterans Day is slightly different from that of similar holidays in other countries. Unlike the practice in other countries, where this calendar date is set aside specifically for honoring those who died in action, Veterans Day in the US honors all American veterans, whether living or deceased. Our specific commemoration of those who perished during armed conflict is made on Memorial Day at the end of May each year. 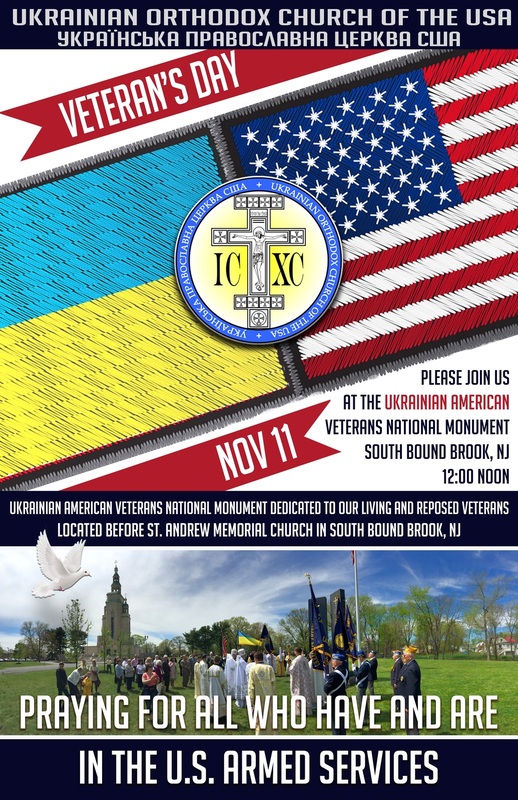 Our Veterans Day observance is particularly important on the Spiritual Center/Metropolia of our Ukrainian Orthodox Church of the USA, where the National Ukrainian-American Veterans Memorial is located before St. Andrew Memorial Church in South Bound Brook, NJ. We take pride in the fact that many Ukrainian Americans have served in the Army, Air Force, Navy, Marines and Coast Guard – during times of war or times of relative peace – many living in our parish communities throughout the country, along with those presently serving in any branch of the Armed Forces. We owe them all a great debt and we pray for them on this day. Veterans Day should be a celebration of lives well lived, as veterans contribute so much to our communities, and should serve as a reminder that many have made great sacrifices and carry heavy physical, mental and emotional burdens from their years of service. This must be a day that we express our deep concern that they receive the necessary care for these burdens. To those presently serving, perhaps far away from loved ones, we say on this day that we carry you in our hearts and prayers. To those families missing someone special to them, we express our appreciation for your patriotism and embrace you, also, in our prayers, for you serve, as well. It is easy for us on this special day to remember and thank those who served. However, this must not be a one-day remembrance! We must remember them each and every day we live as citizens of this great nation that continues to lead the world and set the example of freedom – the ultimate cause for which all our Armed Forces personnel served and serve so unselfishly. So, we offer our prayers of Thanksgiving for our veterans and their families. May God bless each one of you – our veterans, our present Armed Forces and our great country – the United States of America. O, God of love and mercy, we ask for blessings on all those who have served and are serving their country in the Armed Forces of the United States of America. 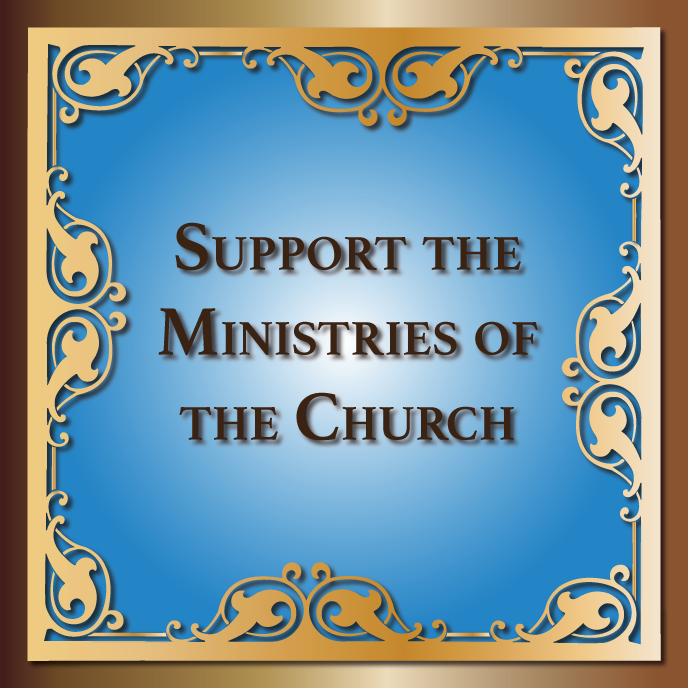 We ask for healing for the veterans who have been wounded, in body and soul, during conflicts around the globe. 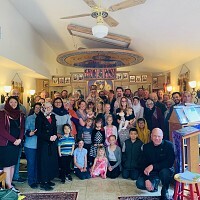 We pray especially for the young men and women, in the thousands, who are coming home from Iraq and Afghanistan with injured bodies and traumatized spirits. Bring solace to them, O Lord. May we pray for them when they are unable to pray. Have mercy on all our veterans from World War I and II, Korea, Vietnam, Iraq, and Afghanistan and all other armed conflicts. Bring peace to their hearts and peace to the regions they fought in. Bless all the soldiers who served in non-combative posts. May their calling to serve continue in their lives in many positive positions. Give us all today a creative vision to see a world grown weary with fighting, with the goal of affirming the life of every single human being - in peace. For You are a Merciful and Loving God in Holy Trinity and to You we give glory – Father, Son and Holy Spirit – unto the ages of ages. Amen.